I went to the desk, said my name and the pretty receptionist said “Thanks, take a seat.” So here I was, fifteen minutes ahead of schedule. Fifteen minutes to spend sat in the waiting room. Well this was it, I’m here. Facing one of my biggest fears ever. The dentist. I sat there for what seemed like hours. People came in and left, filling out medical history forms on miniature sized clipboards (with some difficulty I might add). Why do we all feel the need to be so quiet in waiting rooms? Anyway, I was tapping my foot and wringing my hands with nervousness. Minutes crept by, and I was a bag of nerves. 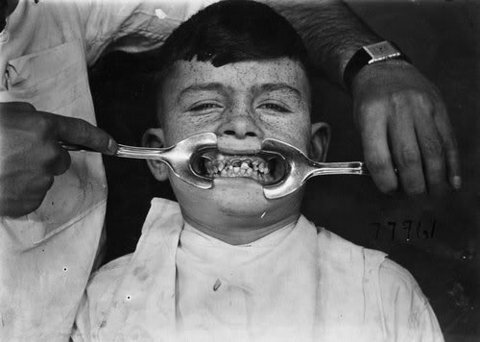 I admit it, I’m terrified of the dentist. The chair, the smell, the water and suction thingy… someone’s hands in my mouth! “Miss Chadda, surgery 1,” she called. It made me jump a little, but I got up. “Thanks,” I replied, a little tense. I say a little, I mean extremely. 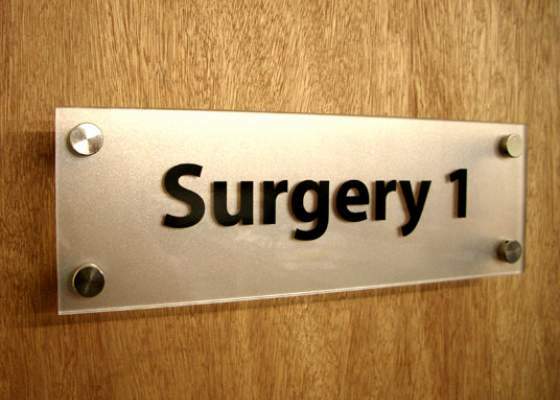 Having got to the stairs, I stepped slowly up until the door with SURGERY 1 written on came into view. The chair was in sight. Oh my God, I can’t do this. “Hello, take a seat,” said the dentist, dressed in an unflattering red smock thing, with matching red face mask. “Thank you,” I reply. In actual fact, that’s a lie. I was not thankful to be there, not one jot. I sit down, the chair jolted back and I start breathing pretty heavily. Chill out, for God sake Bea, get it together. “Just to let you know,” I say. “I get quite nervous at the dentist. I won’t freak out… but just so you’re aware.” She laughs and says it’s ok. But her laugh does not comfort me; she know’s I’m serious, right? She pokes around a little, with her plasticy tasting latex gloves, and of course my eyes are fixated on the peeling Winnie The Pooh stickers on the ceiling above me. Someone should stick those back on. What if one falls right into my wide open mouth and I choke? OMG. She says she needs to take an xray, so shoves a plastic thing in my mouth to bite, before her and the assistant scuttle out to avoid the UV rays of the x-ray. Brilliant. This is how I imagine it looked… perhaps a little dramatised? She sends me on my way after giving me the all clear- no fillings or gum disease, which is always nice to hear. A visit to the hygeinist later, I’m in pain, (although with sparkling teeth), eyes bloodshot from a few cheeky tears and £50 lighter. Fantastic.